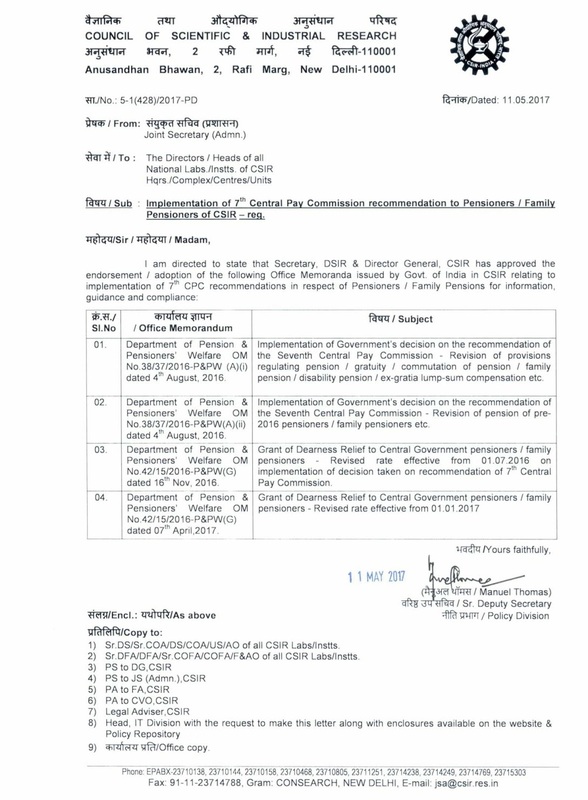 Sub : Implementation of 7th Central Pay Commission recommendation to Pensioners / Family Pensioners of CSIR - reg. 03. Department of Pension & Pensioners' Welfare OM No.42/15/2016-P&PW(G) dated 16th Nov, 2016. Grant of Dearness Relief to Central Government pensioners/ family pensioners - Revised rate effective from 01.07.2016 on implementation of decision taken on recommendation of 7th Central Pay Commission. Secretary, DSIR & Director General, CSIR has approved the endorsement I adoption of the Office Memoranda issued by Govt. 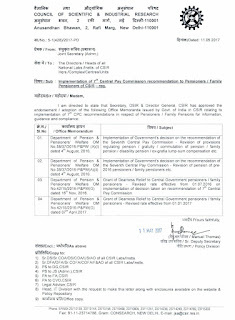 of India in CSIR relating to implementation of 7th CPC recommendations in respect of Pensioners / Family Pensioners.